1979, ‘The Wizard’ is based on a true story of a teen who escapes during the Iranian revolution with only his life, immigrates to North California, faces racism, bullying and general American hostility due to the American hostage crisis in Iran. Against all odds, and surpassing the community’s expectations, he succeeds in becoming a State Wrestling Champion. (Based on a true story). Alex graduated at the top of his class with a B.F.A in film directing from Art Center College of Design. His thesis film was a 35mm short film about street-racing called “The Last Race”, based on his experiences as a street-racer. After college he continued to develop his writing and directing skills with 5 more short films in different genres, each playing in festivals and winning multiple “best short film” awards. He made his feature debut with a rough and tumble romantic comedy from a guy’s perspective: “Knuckle Draggers”. It played at multiple festivals and placed in Best of Fest’s top 10 comedies of 2009. Alex went back to his street-racing roots for his second feature “Born To Race”, a teen action film centered around a father/son story. 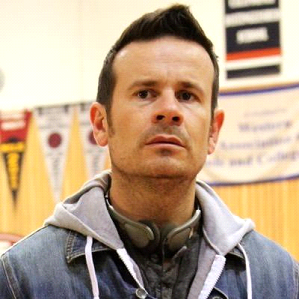 He co-wrote the script with another Art Center Alum and was hired to direct it. He followed it up with a sequel, “Born to Race: Fast Track” starring Brett Davern and Beau Mirchoff. In 2010, Alex also wrote a revenge-thriller called “The Girl With No Name”, which won the Grand Prize at the Slamdance Screenwriting Competition. He was then hired to write the MMA sports drama “Mickey Kelley.” American Wrestler (2016) is his latest film.